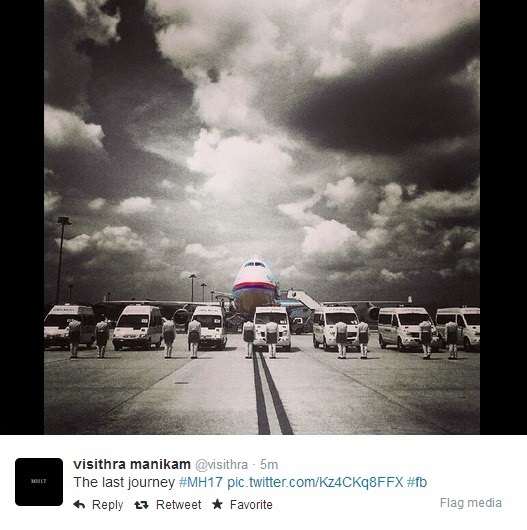 22 August 2014 has been declared National Mourning Day to pay respect to the passengers and crew who perished in the tragedy of flight MH17. 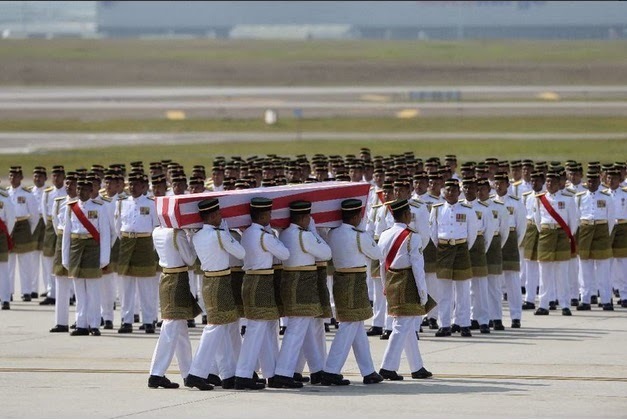 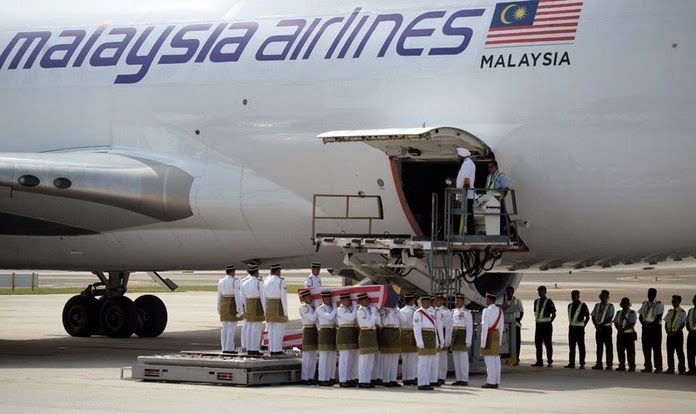 A moment of silence was observed by the whole nation as the plane carrying 20 of the identified bodies arrived at Kuala Lumpur International Airport today. 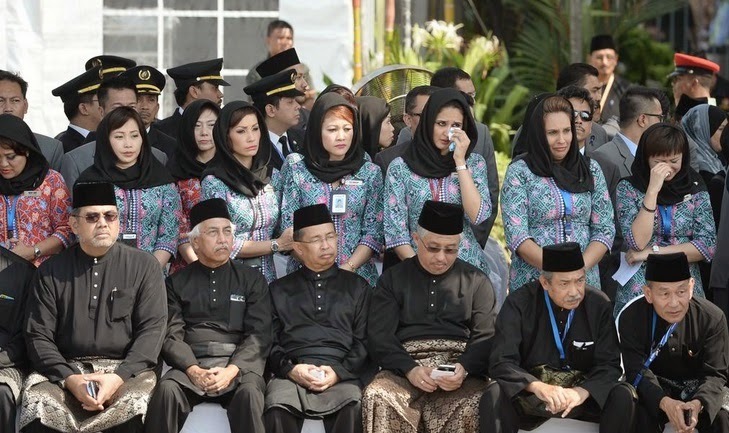 The majority of the nation has also donned black, the mourning colour, to show respect. 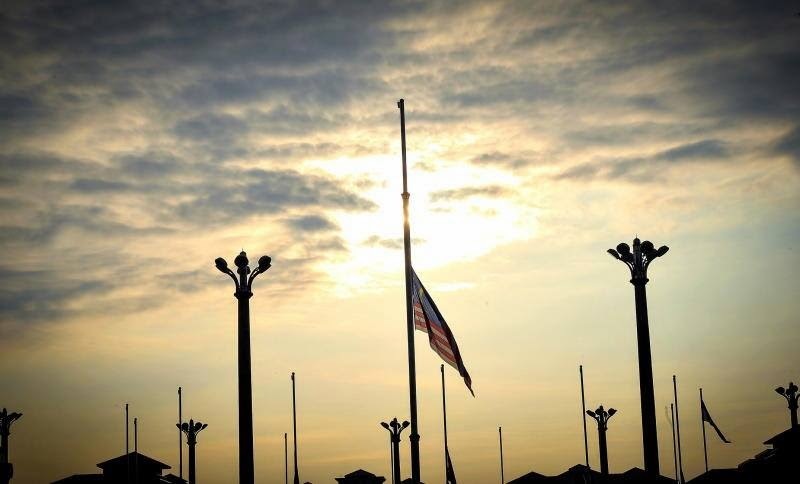 Flags are all flown at half-mast while entertainment programs and activities have been decreased or replaced with prayer recitations. 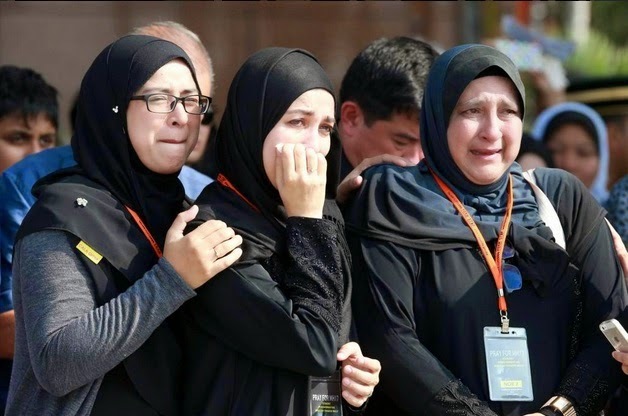 Below are some of the photos depicting today’s mourning, courtesy of various news outlets and social media uploads. 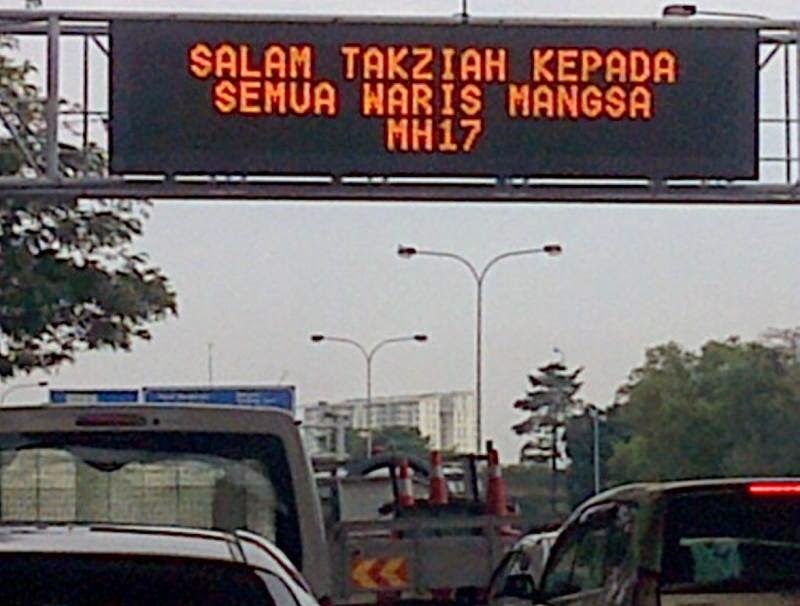 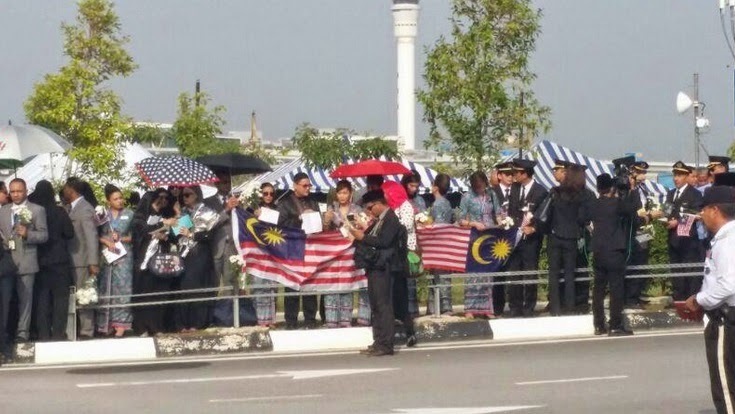 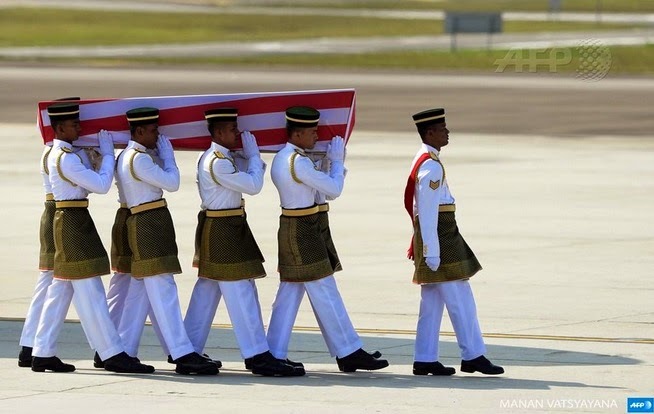 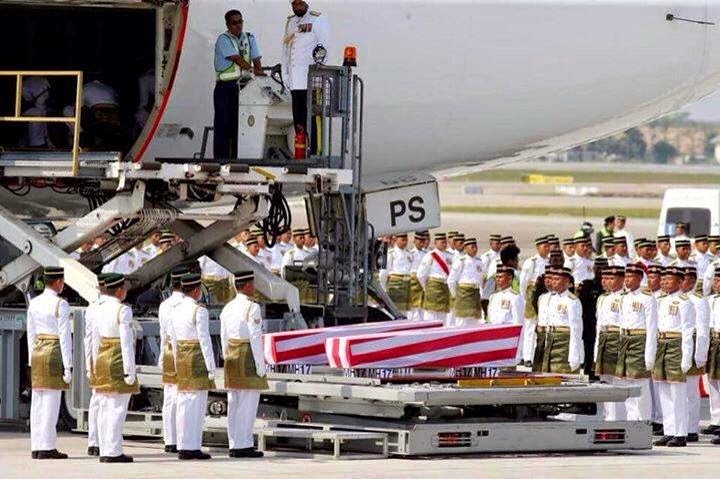 Malaysia welcoming home the MH17 victims. 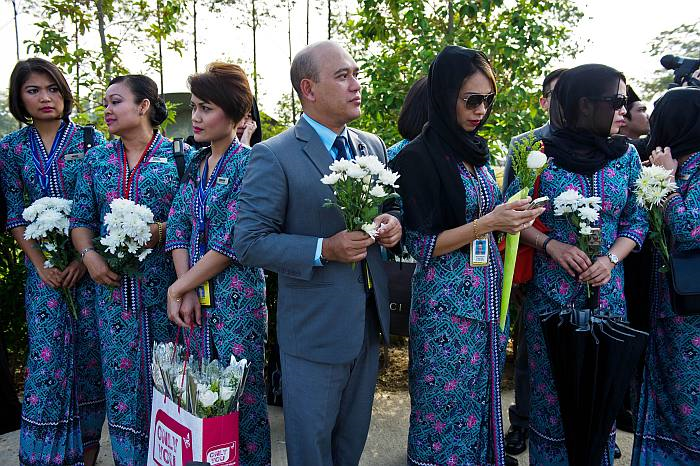 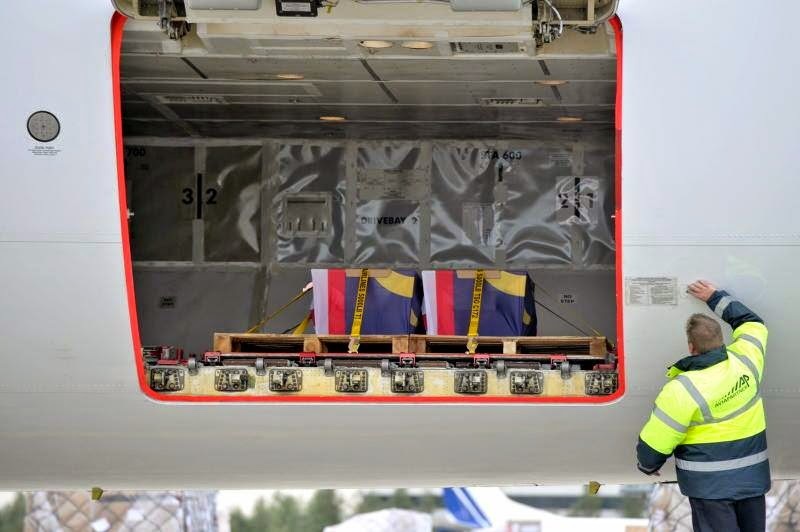 The remains of Malaysian MH17 victims arrive at Kuala Lumpur International Airport. 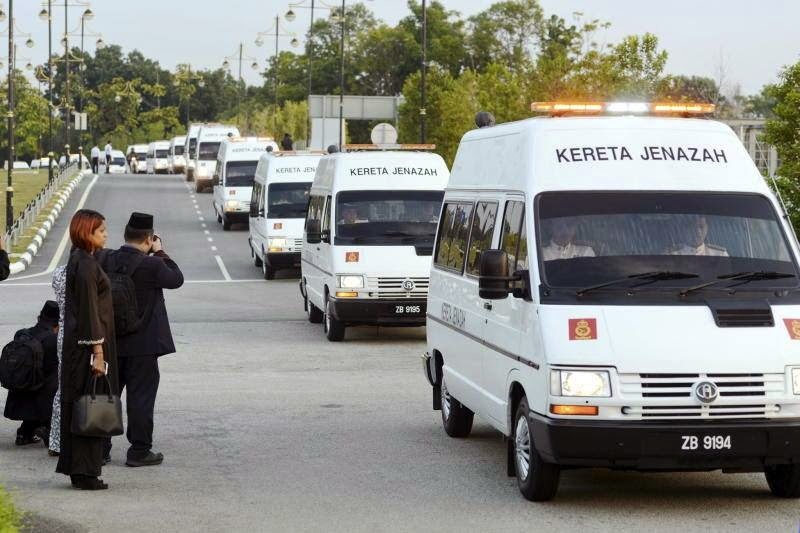 Newspapers are printed only in black and white today.